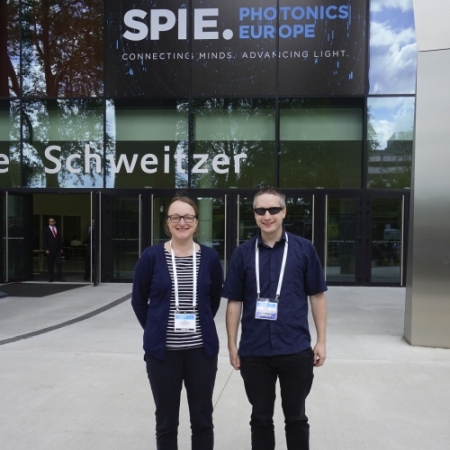 In April, Jane and Dan attended the SPIE Photonics Europe conference in Strasbourg, capital of the Alsace-Lorraine region and centre of the European Parliament. 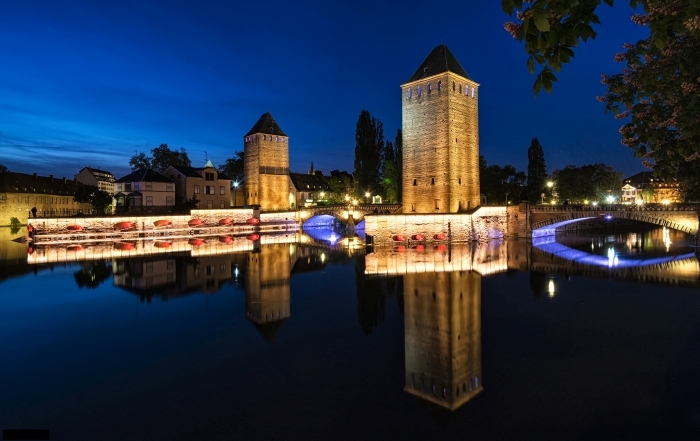 The conference is the largest of its kind in Europe covering the most significant photonics technologies—from digital optics to quantum technologies to attosecond science. Jane had an invited presentation on her work on the use of integrating spheres as gas cells and Dan presented recent work on refractive index measurement using low-coherence interferometry. Both talks were in the Optical Sensing and Detection conference. The talks went well and were well attended even though they were at awkward times - Jane was at 8:30 in the morning and Dan was in the afternoon of the last day! Jane and Dan at Photonics Europe, Strasbourg.